See the resemblance? Jack Antonoff attended the 2018 Grammy Awards with his sister, Rachel Antonoff, after his split from Lena Dunham. The Bleachers frontman, 33, and the fashion designer, 36, walked the red carpet together at Madison Square Garden in New York City. He looked handsome in a classic black suit, accessorizing with a matching bow tie, a white rose in support of the Time’s Up movement and his signature round glasses. Rachel wore a feathered skirt and a white top with a rose of her own tucked into her pocket. 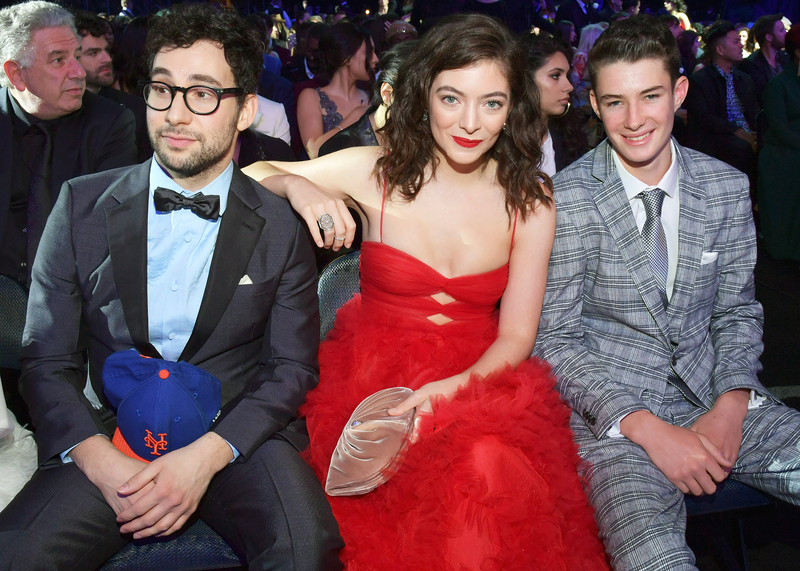 The Antonoffs sat in the audience with Jack’s close friend and collaborator Lorde and her brother, Angelo Yelich-O’Connor. Jack has already moved on, though. A source confirmed exclusively to Us on Saturday, January 27, that the singer-songwriter is now dating model Carlotta Kohl. The new couple were spotted enjoying a candlelit dinner at Gemma restaurant in The Bowery Hotel in New York City on Wednesday, January 24.